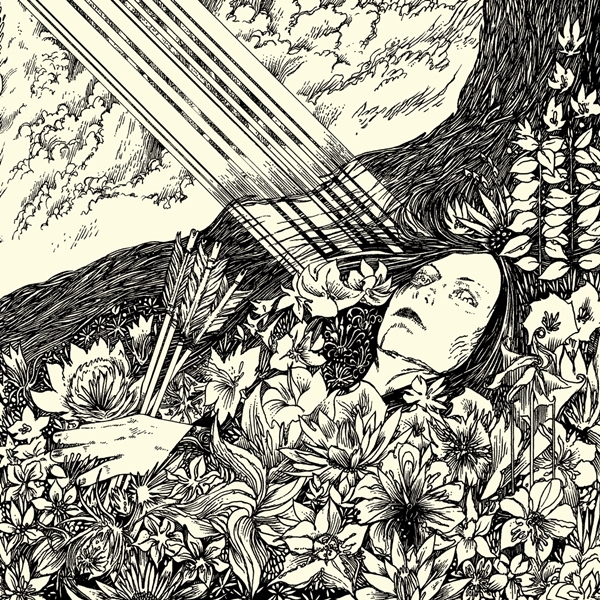 Occult Rock Magazine: Jex Thoth Announce New Album, "Blood Moon Rise"
Jex Thoth Announce New Album, "Blood Moon Rise"
After much anticipation, JEX THOTH present their second full-length album: BLOOD MOON RISE. Heavy and thick in the spirit of Black Sabbath, brewed with the soul of Sabbath contemporaries like Amon Düül II, Pink Floyd, Heart and Blue Öyster Cult. Well worth the wait, BLOOD MOON RISE delivers not only a collection of catchy doom ballads, but a flowing tapestry of cursed, psychedelic heavy metal. The album reflects JEX THOTH's expanded vision, while incorpora- ting celebrated elements from the band's self-titled debut. Mixing shamanistic and futuristic sounds with harsh and more subtle tones, BLOOD MOON RISE, cradles and sways, dooms and dances, shivers and quakes. Some tracks send you floating away, while others bind you firmly to the earth. BLOOD MOON RISE stretches from classically fuzzed out and slow n' heavy, to strong and epic, to tranquil and ominous. Reverent while maintaining an original sound, JEX THOTH embrace all that is good from the past and shuttle it defiantly into the future. Intrepid, bone-shaking rock 'n roll, Produced by Randall Dunn (Earth, Sunn O))), Black Mountain). The classic song craft, weaving melodies, rich tones, and crushing drums on BLOOD MOON RISE will have even the most sober of listeners comple- tely transfixed. Addictive, timeless rock. Aaaargh I need to hear a song!